The honey bee (Apis mellifera L.) is the most important agricultural pollinator worldwide. The reason is simple: It can be managed for pollination. Some native bees (e.g., Blue Orchard Bee) can be encouraged to nest near fields or orchards, but most insect pollinators are not easily controlled for crop pollination. Honey bees are ideal pollinators for several reasons. First, a single colony of honey bees can provide tens of thousands of bees that visit flowers in search of food. Bees collect nectar and pollen as food. Nectar is concentrated to form honey, which is the primary energy source for bees. Pollen provides essential amino acids, minerals, and dietary sterols. Foragers routinely search for these foods in an area of 8,000–10,000 acres in a 2-mile radius around their hive. A single forager visits the same species of flowers during a foraging trip, and this is important for ensuring pollination of a particular plant. A colony of bees pollinates different plants simultaneously by sending out teams of foragers for each type of blooming plant in the vicinity of their hive. Second, honey bees are broad-spectrum feeders and collect food from hundreds of different plants. There are more than 120 agricultural crops that benefit from honey bee pollination within the U.S. Some crops absolutely require a pollinator to produce the commodity. A good example is almonds. Almonds can only be produced when two compatible varieties are cross-pollinated. Honey bees are the primary pollinators of almonds in the U.S. They are also used to produce seeds for many vegetables that are sold to home gardeners. Some of the edible and vegetable seed production crops that benefit from pollination by honey bees are listed in Table 1. *The total number of colonies required for each commodity has probably changed since the study was done (Morse and Calderone, 2000), but the relative position of each commodity in terms of dependence on honey bees probably has not changed substantially. The important production states also have not changed significantly. Third, beekeepers can easily manage colonies to produce new hives for pollination, and honey bees flourish anywhere that agricultural crops can be grown. Honey bees can also be transported to crops needing pollination. Beekeepers routinely load thousands of hives onto trucks and move them across the country to pollinate crops. The benefits to the fruit or other commodity grower are well known. If honey bees are placed near the orchards or fields to be pollinated just before plants bloom, bees will eagerly visit the flowers at the optimal time for successful pollination of the blooming plant. The result is that more flowers can be pollinated per plant, and the flowers on the same branch are pollinated evenly through time. Quite often the result is a greater quantity of fruits, nuts, or vegetables. The quality of the commodity is often better when pollinated by honey bees because flowers are thoroughly pollinated by large numbers of foragers from each hive. In many cases, there is more even ripening of the fruit on a single branch, which is important if the commodity is picked by hand. Value of Pollination from Honey Bees in the U.S. The most recent data on the value of pollination from honey bees in the U.S. comes from 2009 (Calderone, 2012). The total value of commodities in the U.S. that required a pollinator was about $81.5 billion at that time. Honey bees were responsible for $19 billion (23 percent), and other insects (mostly leaf-cutting bees) accounted for $9.8 billion (12 percent). Just for comparison, the total U.S. honey production for the same year was about 163 million pounds, valued at $232 million (National Agriculture Statistics Service, 2010). Clearly, the value from pollination dwarfs the value from commercial honey production. Although honey bees significantly contribute to the value of agricultural commodities, it is not true that humans would die of starvation if honey bees disappeared from the planet. The reason is that the top 10 food plants that feed the world do not require pollination by honey bees (or the pollination by honey bees contributes only a small percentage of the total value of the crop; see Table 2). Most of these crops are grains that are self-pollinated and wind-pollinated, but cross-pollination (via wind and insects) does occur as a minor component for some of the crops. Table 2. Major food crops of the world (ranked by weight of yield) to show that many of the foods that feed people do not require pollination by honey bees (or any other pollinator). Data for 2011 from the Food and Agriculture Organization of the United Nations. Insect pollinator densities have been in rapid decline in the U.S. over several decades. This trend applies to the native bees (and butterflies, etc.) and honey bees. There are many reasons, but the primary one seems to be habitat loss and habitat fragmentation. Human activities and the growing human population result in more and more natural areas being lost to agriculture and urbanization. Diseases, parasites, loss of primary food plants by displacement from invasive plant species, and the use of agricultural chemicals like insecticides, fungicides, and herbicides have also impacted pollinators. Changes in farming have hurt pollinators. Small family farms of the last century often had a diverse planting of crops, and they retained many native plants, trees, and shrubs on field boundaries. These habitats provided food, shelter, and overwintering sites for native bees. They also provided a more diverse diet for honey bees, which is healthier for the bees. No single pollen source can supply all of the essential amino acids needed in the honey bee diet. A diverse diet of pollens is more likely to provide all of the essential nutrients needed for good health. Unfortunately, small farms have been replaced by huge acreages of monoculture crops that often have greatly reduced refuge area for native pollinators. In many places, every square inch of arable land gets converted to row-crop production, and native flowering plants disappear from the landscape. Hence, the diets of honey bees in many areas are much more limited than they once were. The number of managed bee colonies in the U.S. has declined from nearly 5 million colonies in the early 1960s to about 2.5 million colonies today. It is easy to blame this decline on all of the problems mentioned above. Certainly these factors are major contributors, but other forces have affected the decline. The advent of cheap granulated table sugar has replaced honey as the main sweetener for cooking or eating in the typical home. Changes in society have also contributed. For example, children in more recent generations of traditional farm families are opting for careers unrelated to farming. Many people can simply earn a good living by doing other types of work that do not tie them to the family farm. Economic factors have also contributed to the decline in beekeeping within the U.S. Domestic honey producers cannot compete with the cheaper prices of imported honey from other countries, and some folks have quit beekeeping because they could no longer earn a living. All of these factors show how complicated a simple issue like the decline in number of managed colonies of honey bees can be when looking critically for the causes. Despite the declines of managed colonies in the U.S. (and Western Europe) over the last 50 years, the number of managed colonies and beekeepers has been gradually increasing on a global scale. There were roughly 40 million colonies of managed honey bees in the world during the early 1960s, and now there are in excess of 60 million managed colonies. The reason is that beekeeping is growing in developing countries of Asia, Africa, and South America. It offers reasonable levels of sustainability in these areas, providing families with a consistent income and goods for barter (honey, wax, and bees) to obtain other necessities of life. Beekeeping is thriving and will likely continue to grow on a global scale. Recent episodes of high colony mortality in North America give the impression that beekeeping is a dying craft, but these losses do not reflect the global beekeeping industry. In recent years, honey bee health has become a primary focus of researchers in response to several episodes in which commercial colonies were lost in unusually high numbers throughout the U.S. and Canada. These episodes became known as Colony Collapse Disorder (or CCD). Although not fully understood, high bee mortality stemmed from multiple factors that included the parasitic mite Varroa destructor Anderson & Trueman (varroa mites), viruses vectored to bees by varroa mites, pesticides, residues of agrochemicals in hives, and poor nutrition. Although there is no concrete evidence that the high mortality of honey bee colonies in CCD was related to specific insecticides, some people argue that the major cause of these losses must be either a specific class of insecticides or the global use of all insecticides. Although insecticides almost certainly contribute to the deaths of bee colonies, the current scientific conclusions are that huge losses of bee colonies were caused by the combined effects of multiple stressors. Varroa mites and the viruses that they vector are currently viewed by scientists as the primary killers of bees worldwide. Generally, there does not seem to be an extensive problem with losses of bee colonies caused by pesticides in Mississippi. Occasionally, there are bee kills from insecticide drift onto bee yards from aerial applicators treating row crops. The frequency of these incidents seems relatively low. However, it is difficult to know if the actual incidence is low because beekeepers are hesitant about reporting such incidents. Some commercial beekeepers fear that they will be asked to move their bees if they formally complain about bee kills from insecticide drift. Some of the largest commercial beekeepers in Mississippi say that the problem here is much smaller than in other states. The potential for great tension between beekeepers and farmers exists in the Mississippi Delta because some commercial beekeepers keep thousands of colonies near soybean and cotton fields. These two crops bloom during hot and dry periods when no other major food source is available, and beekeepers can produce large amounts of good quality honey from these crops. Cotton, and to a lesser extent soybeans, have become more bee-friendly with changes like the use of Bt-cotton, boll weevil eradication, and the development of new and more target-specific insecticides. Regardless of these improvements, Delta farmers must manage pest populations that could significantly impact their crop yields, and bee-toxic pesticides are frequently used in these highly agricultural areas. Therefore, there is a relatively high potential for honey bees to be killed accidentally by pesticide applications. Honey bees provide little benefit to most of the top commodities produced in Mississippi (Table 3). However, many horticultural products, especially grapes, muscadines, apples, blueberries, watermelons, melons, and other cucurbits, clearly benefit from pollination by bees in the state. It is difficult to generalize, but most of these commodities need one to three colonies of bees per acre for adequate pollination. A colony of bees here is defined as at least six to eight standard deep combs covered by adult bees. The usual practice is to place colonies on the ground a week or so before the bloom and keep the bees there until flowering has finished. Many growers pay the beekeeper for this pollination service (especially true for blueberries, cucurbits, and watermelons). Despite receiving little direct benefit from the pollination activities of honey bees, most row-crop farmers understand the overall importance of honey bees to agriculture and do not want to harm them. Additionally, several thousand colonies of honey bees that are kept in agricultural lands in Mississippi are transported every year for pollination service to places like California for the production of almonds. Therefore, factors affecting the health of honey bees in Mississippi can directly influence agricultural production of honey bee-pollinated crops throughout the U.S.
Table 3. Ranking of the top agricultural commodities produced in Mississippi during 2012 (http://www.dafvm.msstate.edu/factbook.pdf) and the relative importance of honey bee pollination (Calderone 2012). Recently, discussions were held among stakeholders in beekeeping and agriculture to discuss ways to foster a better working dialogue among the state’s row-crop farmers and beekeepers. Deliberations led to the development of a communication effort that includes a set of standards or general operating suggestions targeting the state’s beekeepers, farmers, and pesticide applicators. This general outline is a product of these deliberations and is not intended to account for all aspects of the relationship between cooperators (farmers and beekeepers). These standards serve as a basic guideline for cooperative behavior that should exist between row-crop farmers and beekeepers when bees are located in or near row-crop production areas.  This is a program of education and cooperation by the following stakeholders: Mississippi Beekeepers Association, Mississippi Farm Bureau Federation, Mississippi Agricultural Aviation Association, Mississippi Agricultural Consultants Association, Mississippi Department of Agriculture & Commerce, and Mississippi State University Extension Service. Know Your Farmer, Know Your Beekeeper: Farmers and beekeepers are encouraged to communicate openly and frequently during any cooperative arrangement. The farmer and beekeeper should exchange some very basic information, including name, phone number, location(s) of hives on the farm property, commodities grown in the fields adjacent to hive locations, and general information concerning insecticides applied on these commodities and timing of these application during the normal growing season. Cooperators are encouraged to have open dialogue about this information every year to foster the strong level of communication that should exist in such an arrangement. Mississippi “Bee Aware” Flag: The stakeholders listed above have developed a unified flagging system (Figure 1) to be used in the state of Mississippi to clearly identify hive locations (called apiaries) that are near adjacent fields. The goal of this program is for all beekeepers, farmers, and other pesticide applicators to be familiar with this flag and its use and application to provide added safe guards to protect bees in areas of pesticide use. The flag should be placed in a location that can be seen by farmers using ground applications and from the air for aerial applicators. Organizational Outreach Component: The stakeholders listed above have all committed to educate their respective members on the components of the Mississippi Honey Bee Stewardship Program and advancement of its goal and purpose. Figure 1. The “Bee-Aware” flag serves as a signal for pesticide applicators that honey bees are nearby. These yellow and black flags should be flown so that they are visible to ground and aerial pesticide applicators. The goal is to increase the visibility of apiaries to applicators in order to reduce accidental drift of pesticides onto hives. Hive Placement: In any strong working cooperative agreement between farmers and beekeepers, all parties will discuss proper hive locations on the farm property where the bees will be kept beforehand. The farmer knows the property and can best help mitigate damage from farm equipment and other obstructions. The beekeeper knows the best honey bee habitats and can help select an apiary location that: (a) uses natural barriers such as tree lines to protect against exposure to insecticide drift, (b) will allow best access to hive entrances from directly facing fields, and (c) are not too close to the immediate edges of fields. Beekeepers should discuss the bee yard or apiary location with the farmer and come to an agreement that works for both parties. Hive Identification: The beekeeper should have a placard on a prominent hive within an apiary that clearly identifies the owner of the hives with emergency contact information. This placard should be highly visible from a distance. Bee Flag Placement: The farmer-beekeeper team should work together and select the best area near an apiary to place the bee flag so that it is visible by both ground and aerial applicators. Apiary Locations: Both the beekeeper and farmer should generate and review a comprehensive list of all apiary locations that occur on the farm property annually. This is especially important if hives are moved from more traditional locations of several years to newer locations. It might even be helpful to mark the apiary sites on a map. GPS Locations: The farmer-beekeeper team should produce a list of GPS coordinates for apiaries located on the farm. The farmer will relay this information to aerial and ground applicators. Notify Ground and Aerial Applicators of Hive Location(s): Farmers should make their employees (or other contractual parties) aware of all apiary locations and the associated bee flags on the farm property. Farmers also should notify aerial applicators (if applicable) of apiary locations on farm property. Timing of Insecticide Applications: When possible, farmers should consider applying insecticides as late in the afternoon as possible on fields that are immediately adjacent to hive locations. Selecting this time to apply insecticides in sensitive areas near hives will help mitigate many risks of bee damage. Further, insecticide (or pesticide) applicators should always follow label guidelines, and treatments should only be made when pests reach economic threshold levels. Wind Direction: Insecticide applications should only be made when winds are blowing away from hive location(s). To help honey bees and other insect pollinators, you are encouraged to plant natural wildflower areas that provide diversity of food, which is healthier for honey bees than diets from row crops and other monocultures. You may also want to encourage native bees by providing nesting sites for them. Wooden blocks with drilled holes or dead trees can serve as nesting sites for many native bees. In addition, some native bees nest in the ground, so keeping portions of your land from being tilled regularly can help provide grassy areas with undisturbed soil for the nests of these bees. 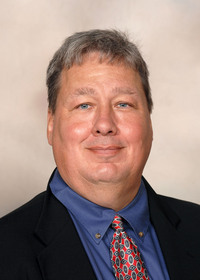 For more information about native pollinators, visit the webpages for the USDA Bee Lab in Logan, Utah, or Dr. Blair Sampson at the Southern Horticulture Research Lab in Poplarville. Calderone, N. W. (2012). The contribution of insect pollinators to U.S. agriculture. Bee Culture 140: December issue, 32–38. Morse, R. A. and N. W. Calderone. (2000). The value of honey bees as pollinators of U.S. crops in 2000. Bee Culture 128: 15 pp. inserts. National Agriculture Statistics Service (NASS). By Jeffrey W. Harris, Assistant Extension/Research Professor, Biochemistry, Molecular Biology, Entomology, & Plant Pathology; Angus Catchot, Extension Professor, Biochemistry, Molecular Biology, Entomology, & Plant Pathology; Jeff Gore, Associate Extension/Research Professor, Delta Research and Extension Center; Andy Whittington and Justin Ferguson, Mississippi Farm Bureau; John Campbell, Mississippi Department of Agriculture and Commerce, Bureau of Plant Industry; and Audrey Sheridan, Research Associate II, Biochemistry, Molecular Biology, Entomology, & Plant Pathology.